Yesterday was such a busy day of meetings and working out that I ended up skipping breakfast and lunch so by the time I swung by Trader Joe's at 4pm to pick up some vegetables and corn tortillas for dinner (roasted corn and monterey jack quesadillas), I was famished. While I had every intention of grabbing something healthy instead I gazed longingly at Trader Joe's Mac & Cheese which is creamy nirvana. 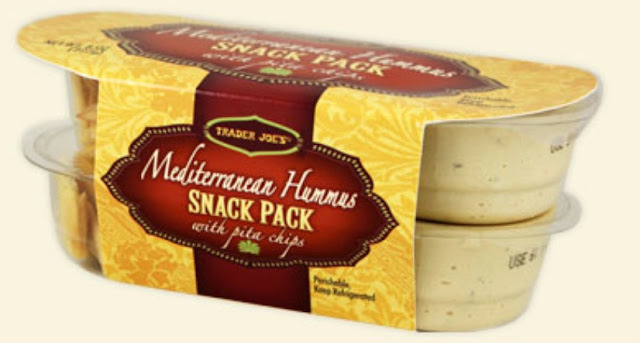 But I bypassed the mac & cheese in favor of the Mediterranean Hummus Snack Pack. I tried it for the first time yesterday because it looked delicious, easy to eat on the run and it contained 9 grams of protein + 4 grams of fiber. (Science shows that a combination of protein + fiber + fat can keep you feeling sated longer than a sugar or carb snack.) 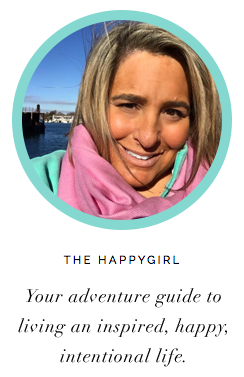 While it does pack a calorie punch of 320 calories (18 grams of fat) this snack filled me up without making me feel guilty which for me leads to "I blew my healthy program for the day so let's eat a whole cake!" feeling. I'm typically not a fan of the dip and chip packs because usually there isn't enough dip to go along with the chips but in this case there was plenty of dip which in itself was the perfect combination of creamy garbanzo beans, garlic and olive oil. The pita chips were crunchy and perfectly salted. I have an early start again today with back to back meetings (and a 4 mile run in there somewhere) and I'll be popping this into my insulated lunch bag along with 10 grapes for a healthy, filling, satisfying lunch that's easy to eat on the go.